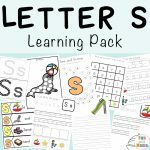 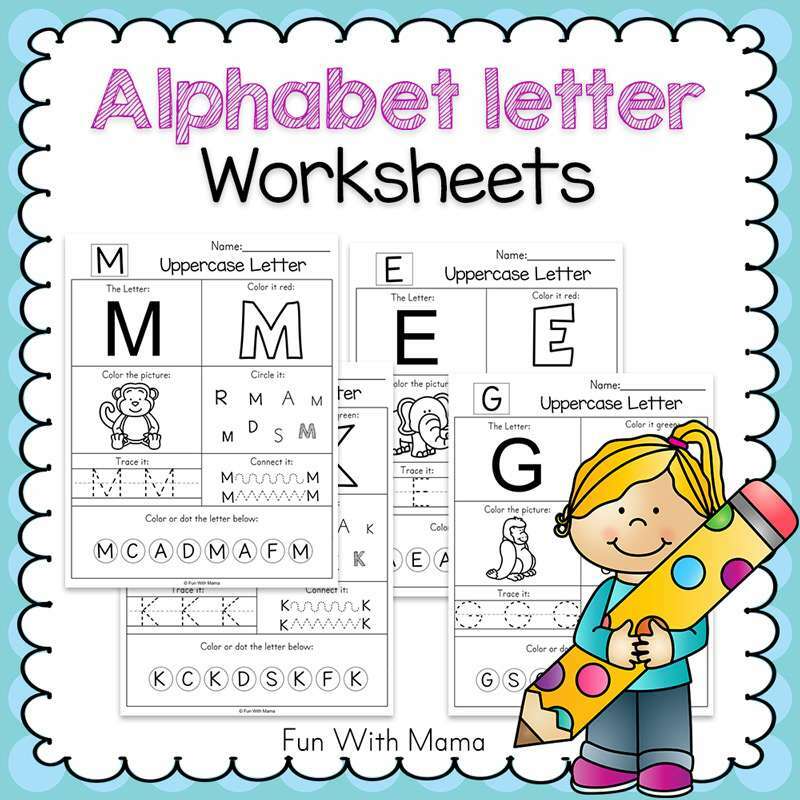 This free Letter W worksheets for preschool + kindergarten contains our latest letter w filled educational activities. 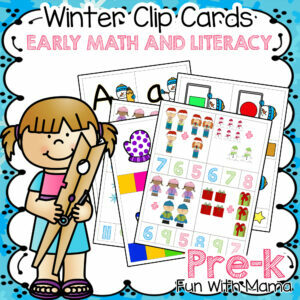 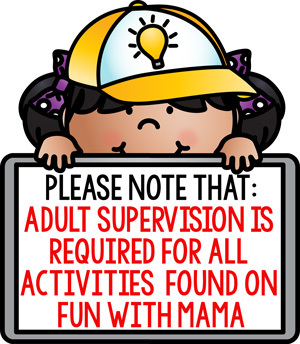 The worksheets, clip cards and activities are suitable for young children ages 3-7. 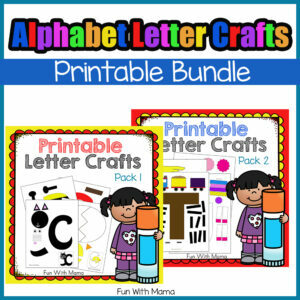 You can find all of our Free alphabet ABC Printable Packs here.Don’t forget to add our printable alphabet letter crafts too! 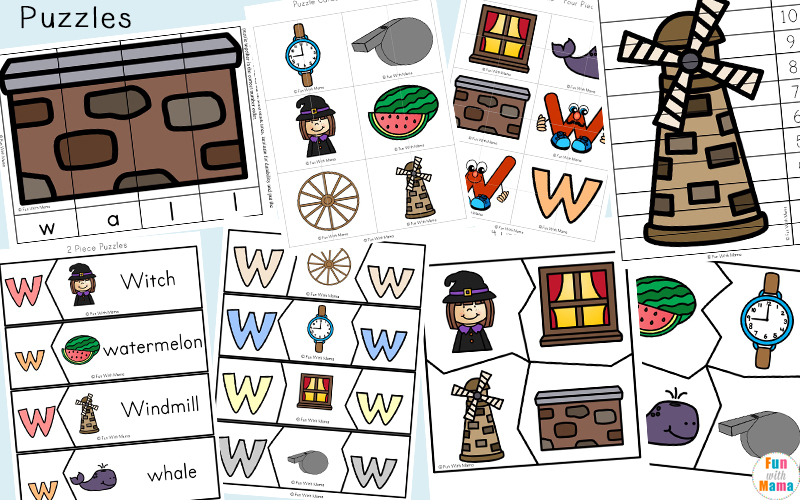 This Letter W Preschool Pack focuses on the uppercase and lowercase letter w. It includes nine pictures that begin with the letter w: whale, witch, whistle, watermelon, window, watch, wheel, wall and windmill. 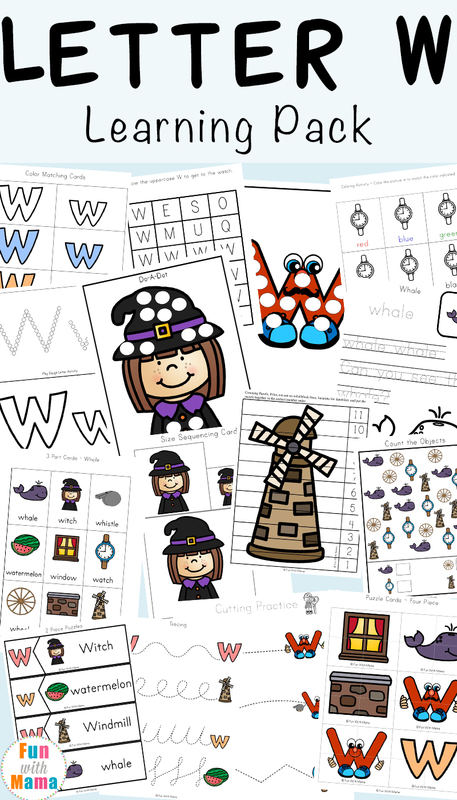 There are a variety of puzzles which kids will love to complete. 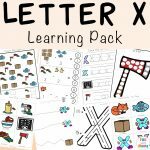 I recommend laminating them for durability so that kids can use these 2, 3 and 4 piece puzzles over and over again. 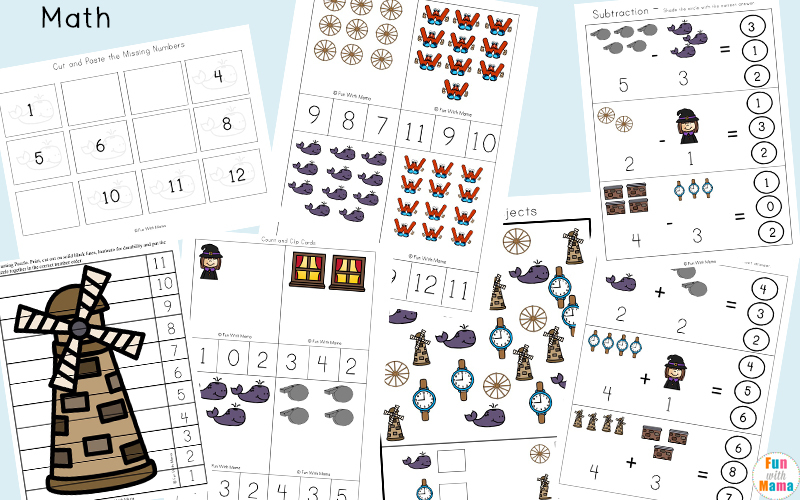 They will also love the number and word building puzzles too. 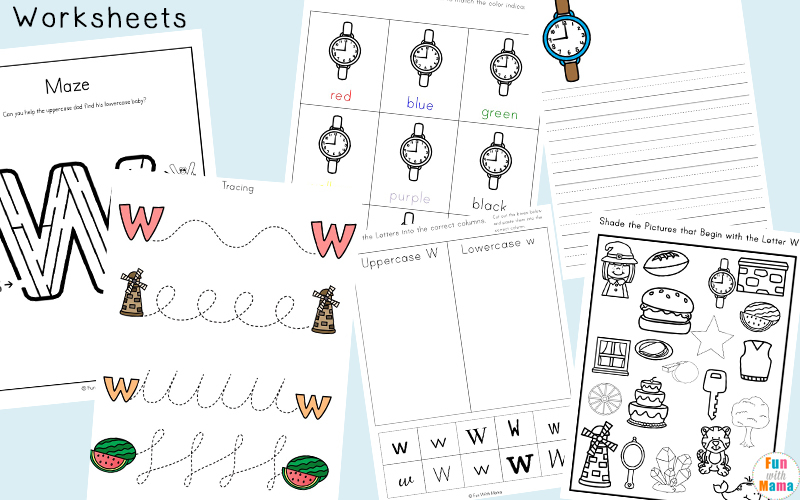 The story / creative writing pages are lots of fun. 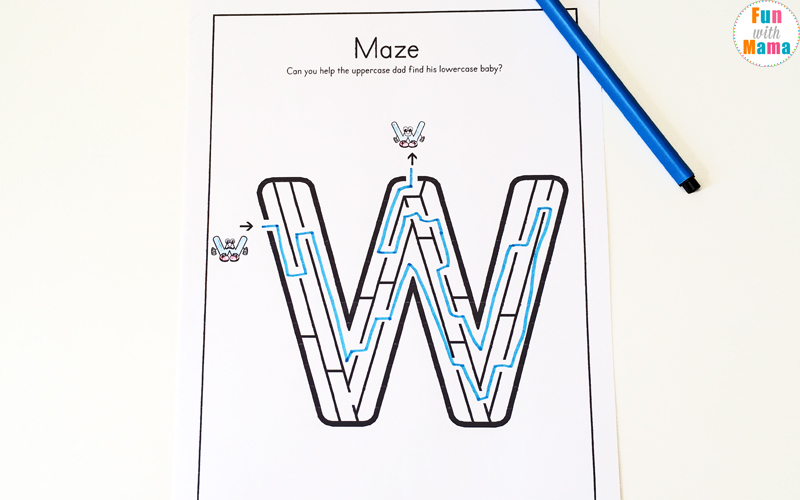 A fun way to use these pages is to print them out multiple times. 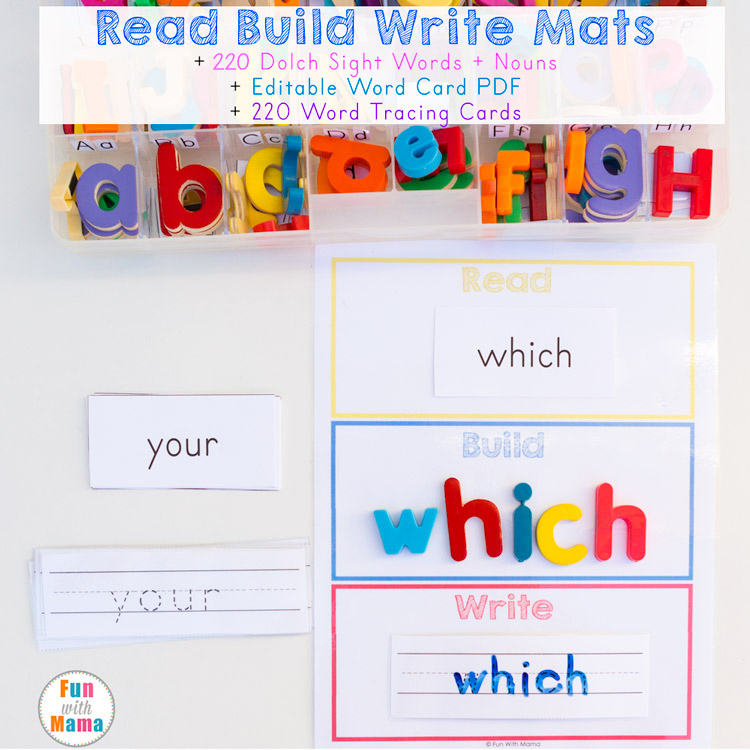 Have your children create their own cover pages and staple them together into a book. 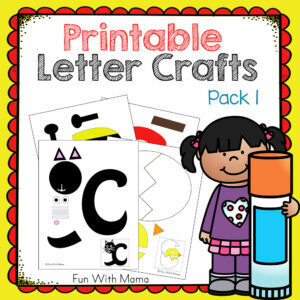 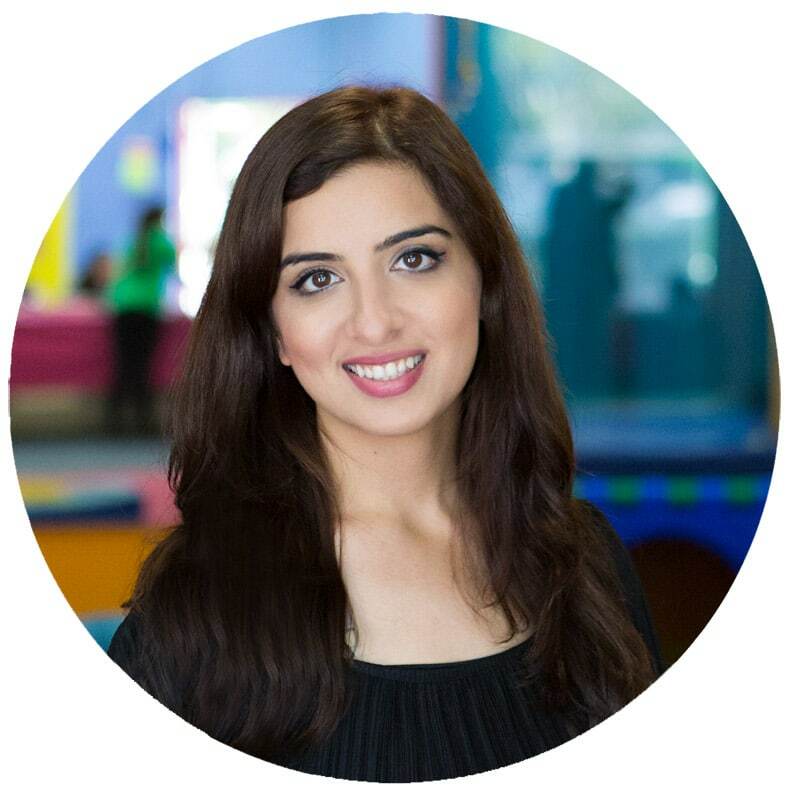 Children can write a story, or a poem on the pages and have their own letter W book. 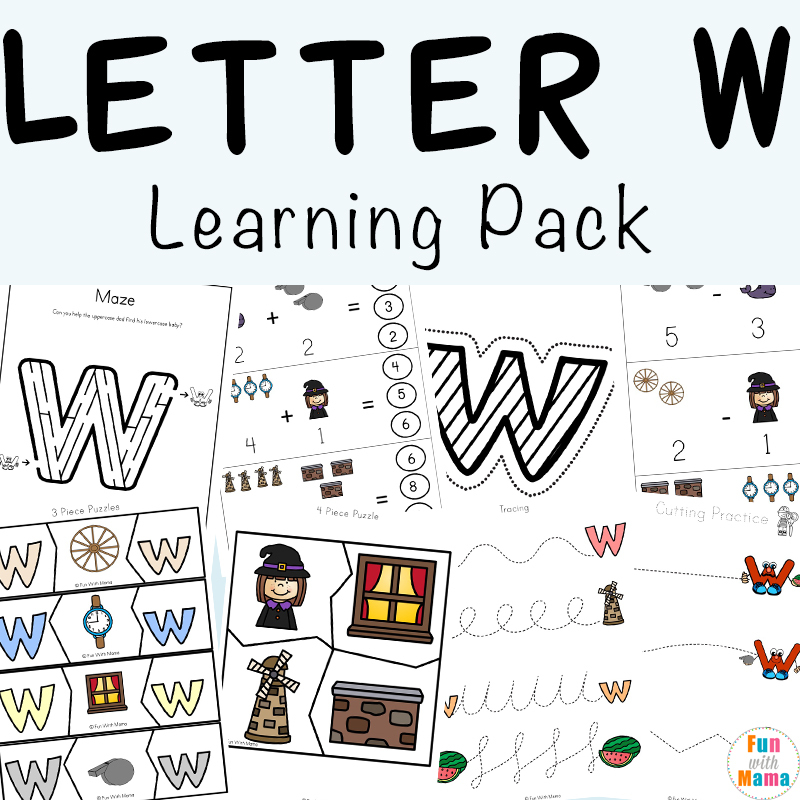 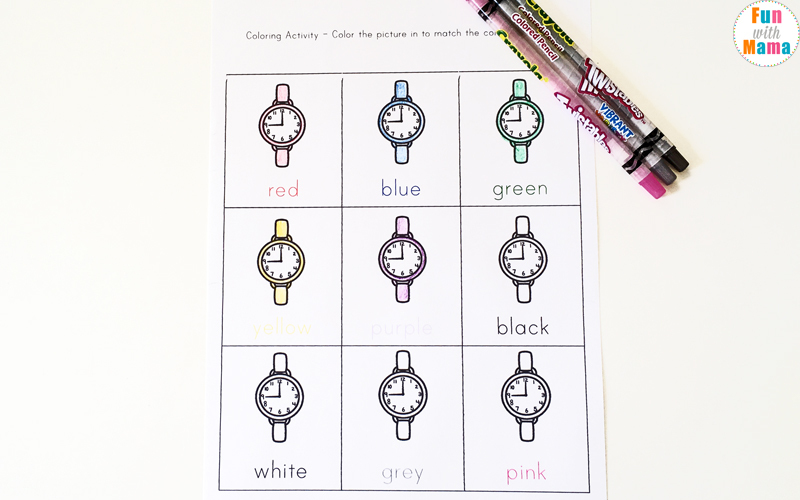 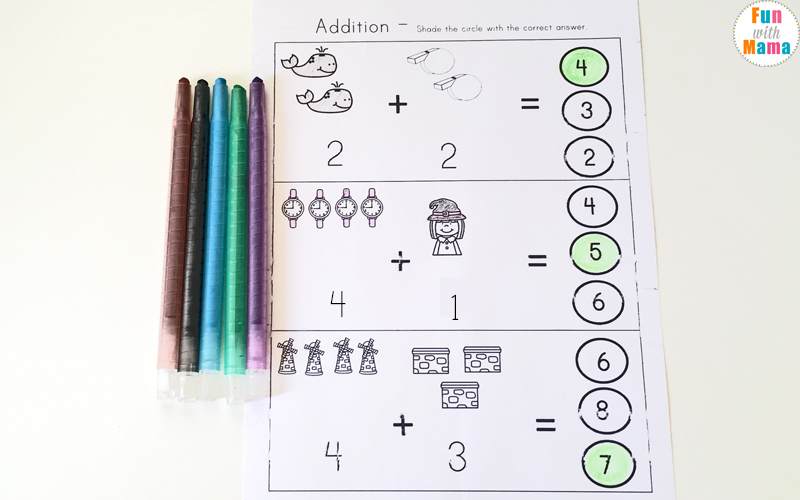 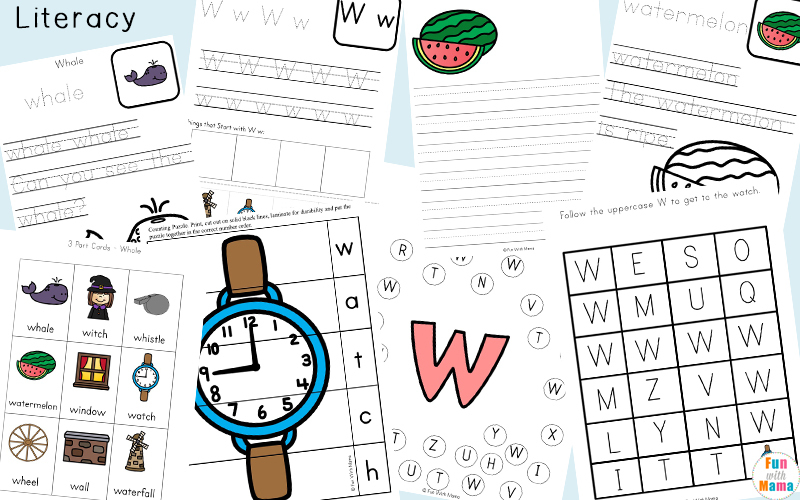 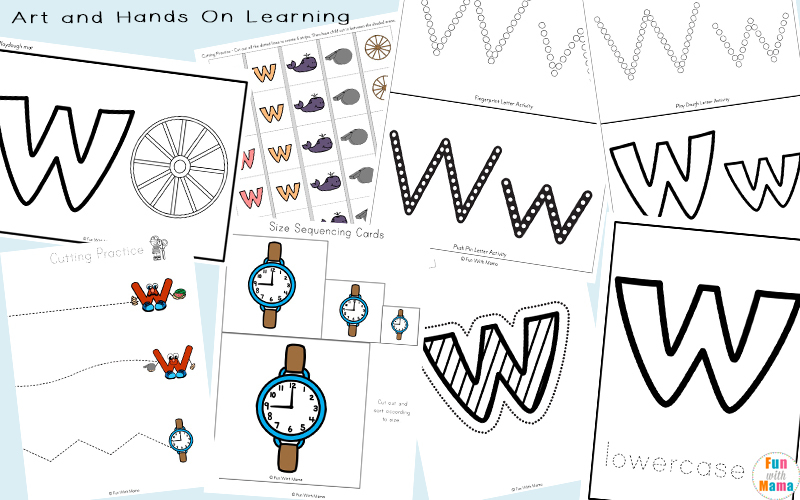 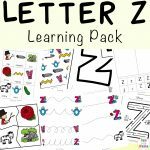 You can get the letter w worksheets pdf by pressing the button above.Get the full Alphabet Letter Pack bundle that includes all the color and black and white activity packs here. 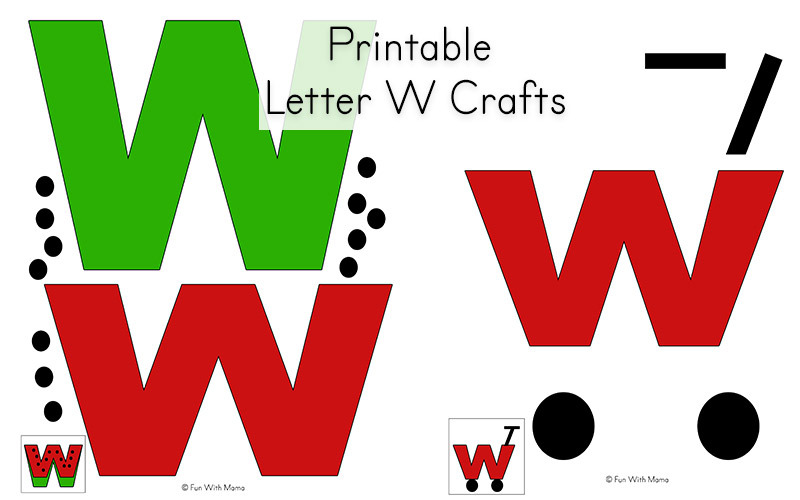 The Letter w is for watermelon craft and w is for watermelon craft can be found in the alphabet letter crafts bundle.